Ranthambhore is one of the largest national parks in northern India. 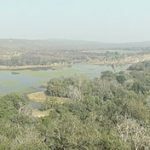 It was established as the Sawai Madhopur Game Sanctuary in 1955 by the Government of India, and was declared one of the Project Tiger reserves in 1973. Ranthambore became a national park in 1980. In 1984, the adjacent forests were declared the Sawai Man Singh Sanctuary and Keladevi Sanctuary, and in 1991 the tiger reserve was enlarged to include Sawai Man Singh and Keladevi sanctuaries. 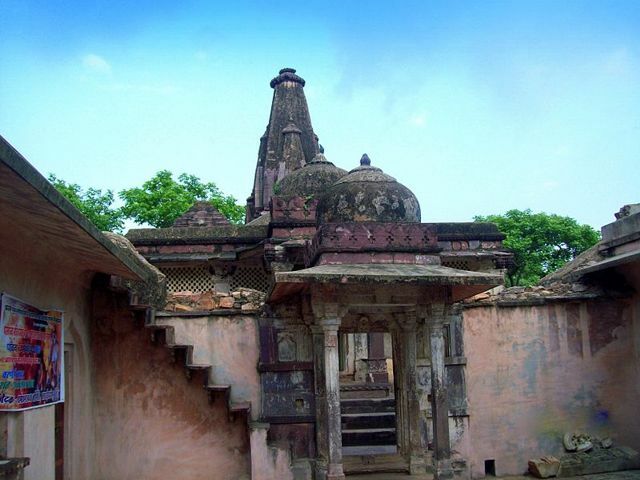 Ranthambore Fort: The majestic fort, built in 10th-century, towers over the entire park area. 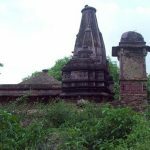 It was founded in 944 by the Nagil Jats. It stands at a height of 700 feet above the surrounding plain. 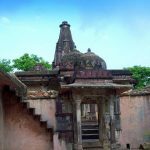 Inside the fort, there are three red Karauli stone temples devoted to Ganesh, Shiva and Ramlalaji. 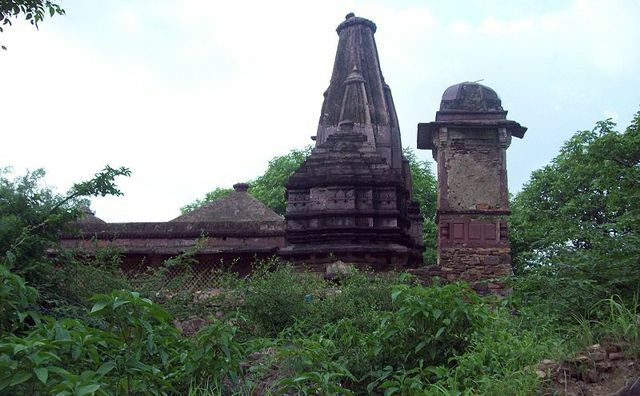 The temples were constructed in 12th and 13th centuries. Click images below to enlarge. My vision for a specialized preserve would include a scaled version of the fort. Tigers could roam the grounds as they once did when tigers were plentiful on the Ranthambhore Preserve. Visitors could enjoy a spectacular perspective of what the tigers once saw when they freely roamed the fort. I have several fundraising projects in the works, but I may never see this preserve come to life. As of this date, February 26, 2014, I am sixty-four years old. I will not live forever. If I don’t see this preserve come to pass, maybe a younger, compassionate tiger lover can embrace my vision based on my efforts and save the tiger before it’s too late. This rendition was done by Ricardo Garces.